I have been looking for good recipes for clients with IBS, wheat/gluten/yeast intolerance. The first recipe is for a great polenta cake that tastes as good as it gets. Then there are some breadmaker recipes I found but would really be interested to hear of good wheat free/yeast free breadmaker recipes. There is a comment box at the foot of this page. 20 cm/8inch loose based spring clip cake tim, buttered and lightly dusted with polenta flour. Using an electric whisk, beat the soft butter (or dairy free margarine) until pale adding the suger gradually until the mixture is creamy and light. Add eggs, whisking, one a time. Stir in almond essence, half the lemon juice and zest. Then stir in the sifted dry ingredients and ground almonds. Bake at 165C/325F gas mark 3 for 40-45 minutes or until a skewer comes out clean and the sides have shrunk slightly. First, mix the liquid ingredient together and pour into pan of bread machine. Next, mix all the dry ingredients – except yeast – and spoon over the dry ingredients in the pan. Sprinkle the yeast over the dry ingredients, being careful not to let it touch the side of the pan. Start the machine of the normal bread cycle. Or you can try the following gluten-free bread recipe in your bread machine. The just follow the same instructions as before. If you have a bread machine, then you can create delicious gluten free recipes even if you don’t have a setting for this type exact specialty. 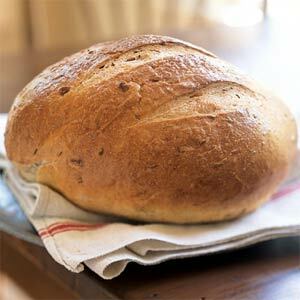 The following bread is completely gluten free and makes use of the delicious combination of apples and nuts. You can experiment with adding different types of fruit and nuts until you find your favorites. Preheat oven to 350 F and pre-grease a bread pan. Mix all of the liquid ingredients in one bowl and everything else except the apples and nuts in a separate bowl. Slowly mix the liquid ingredients into the second bowl, blending as you go to moisten. Add in the apples and nuts and mix well. Put the dough into the greased bread pan and bake for 40-50 minutes, checking along the way to ensure proper consistency and darkness. These cupcakes pack a nutritious punch, but even the pickiest children will gobble them up unknowing. You can vary the type of fruits you put in, depending on your child’s tastes and preferences. Grease a muffin pan or line with cupcake holders. Mix first 6 ingredients into a bowl, sifting together. Cream the butter and sugar together. Add almond extract and then the eggs, completely blending one in before you add in the next. Beat on medium until mixture gets fluffy and light consistency. Add in all fruit selections, including pineapple. Finally, stir in the first mixture made with the 6 ingredients. Put cupcake dough into muffin pan or tins and bake for about 15 to 20 minutes. I liked you gluten free bread. I would be grateful if you send me more information about gluten free cooking recepies, because I suffer from lacto intolrance and gluten. Thank you for your comments. I do put up more recipes from time to time. I would find it hard to give more advice without more details of your particular needs. 2. Beat egg whites until stiff and then set aside. 3. Beat egg yolks. Add sugar and salt and beat until lemon-colored and thick. 4. Add bananas and potato starch while beating. 5. Fold in egg white and bake in a 10 inch tube pan for 45 minutes. 6. Invert and let cool.